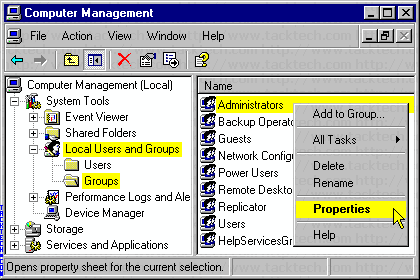 Ensure all users have Local PC Administrator Rights (Windows XP) - TACKtech Corp. 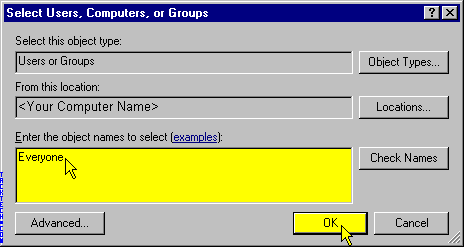 Note: This does not work on XP HOME. Right-Click the My Computer icon. Note: The My Computer will be displayed either on the Desktop or Start Panel. 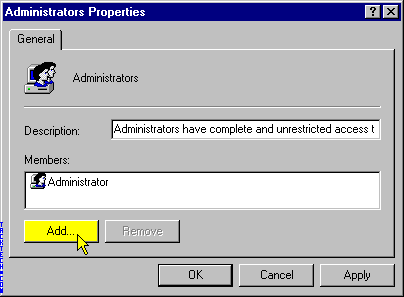 Left-Click Manage on the popup menu. 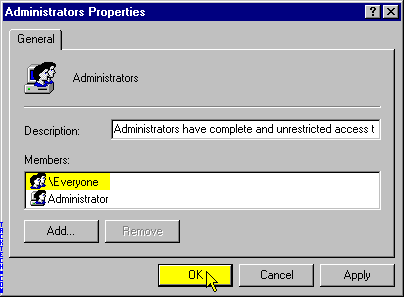 Click Local User and Groups. 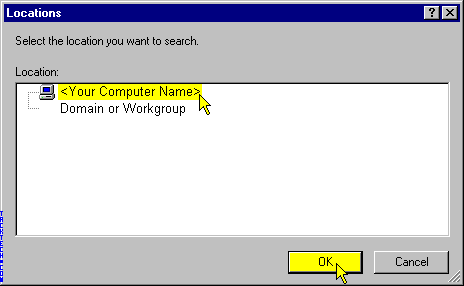 NOTE: If From this location: is displaying your computer name, the following two sets of steps can be skipped. 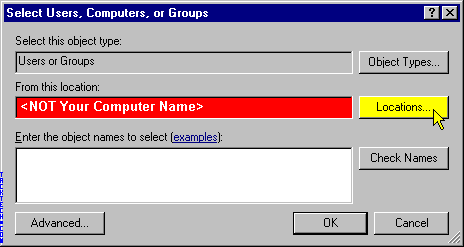 Click on your computer's name. Type Everyone into the Enter the object names to select (examples): textbox.